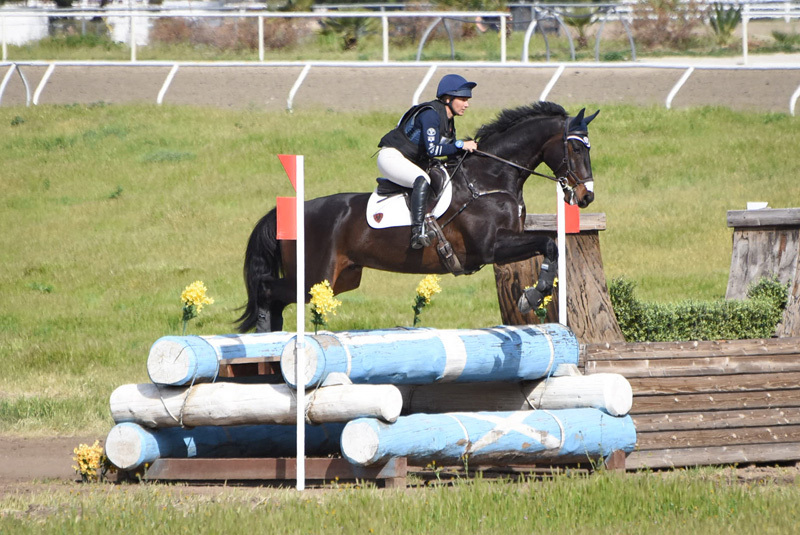 Quick, clear rounds weren’t only influential, they were essential for a top finish at the 2018 Galway Downs International Horse Trials, held March 29-April 1, as competitors took on the thrilling cross-country phase. 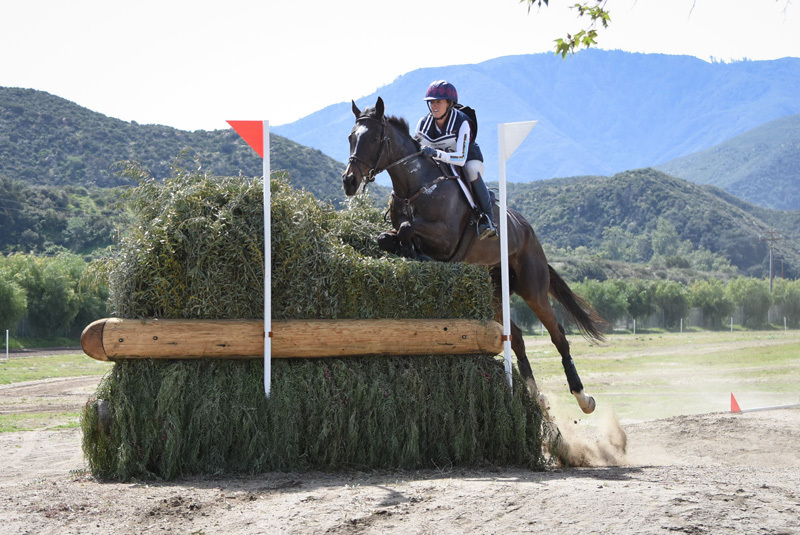 Tamra Smith of Murrieta, California, and Sunsprite Syrius, a 10-year-old Trakehner, were the only CIC*** pair to achieve this feat across Eric Winter’s formidable track, and they were kindly rewarded with a big win in the division on a final score of 35.2. Sunsprite Syrius and Tamie Smith. Photo by Shelby Allen. Sunsprite Warmbloods’ CIC*** debutant is a proven competitor, winning the prestigious Dutta Corp. /USEF CCI2* Eventing National Championships at Fair Hill International (Maryland) in 2017 before moving up to the advanced level this spring. Cheering him on along the way were Donald Trotter and Pamela Duffy of Sunsprite Warmbloods, who are longtime Galway Downs volunteers and supporters. Overnight leader Frankie Thieriot Stutes of Occidental, California, dropped to second after accruing 9.2 time penalties on an otherwise clear round with Chatwin, a 10-year-old Oldenburg owned by The Chatwin Group. Stutes, who won this event last year, is returning to Galway Downs as her first international competition since the birth of her second child last autumn. Frankie Thieriot Stutes and Chatwin. Photo by Shelby Allen. Stutes and Chatwin close the weekend out on a final result of 42. Andrea Baxter of Paso Robles, California, took hold of third place with her longtime partner Indy 500. These two posted a confident trip in their last outing before the Land Rover Kentucky Three-Day Event later this month. She and the 13-year-old Thoroughbred finish on a score of 48.8 after posting the second fastest run in the division. 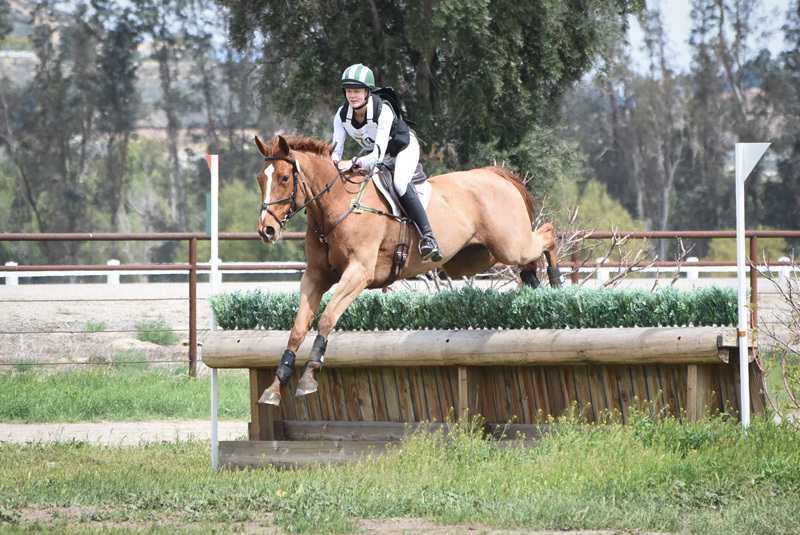 Gina Miles of Templeton, California put the pedal down with Tara Berkuil’s Greenfort Othello for the top spot in the CIC**. The 13-year-old Irish Sport had a faultless cross-country day for a three-phase score of 37.5. Gina Miles and Greenfort Othello. Photo by Shelby Allen. Emilee Libby of Temecula, California, and Linda Libby’s Jakobi moved into second place. She and the 9-year-old Belgian Warmblood picked up 2.4 time penalties Saturday for a finishing score of 41.9. Third place was earned by Amber Pearson of Sebastopol, California, and her own Patagonia on 42.8 points. They were the only other pair to deliver a double clear cross-country round in the two-star. 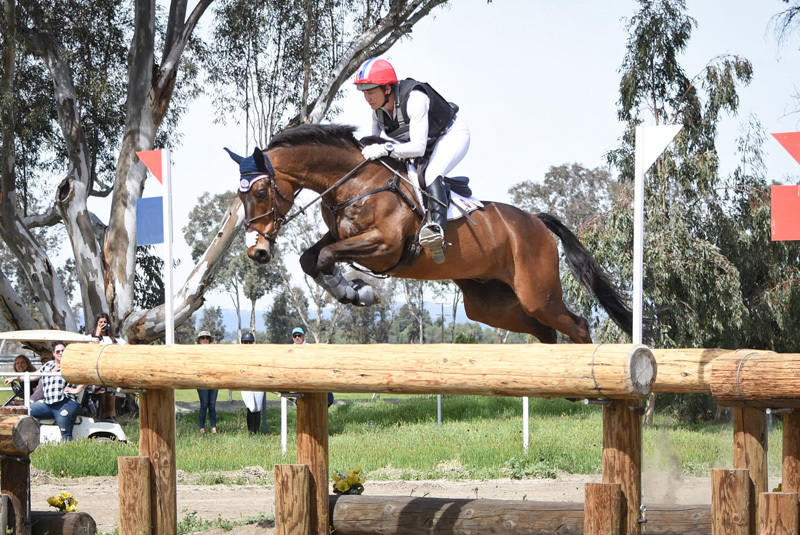 Harper Click of Snoqualmie, Washington, sealed the deal on a wire-to-wire win in the CIC* aboard her own Rubia, a 9-year-old Oldenburg owned by Amy Click. The pair were foot perfect across country, to finish on 28.5 points. Harper Click and Rubia. Photo by Shelby Allen. 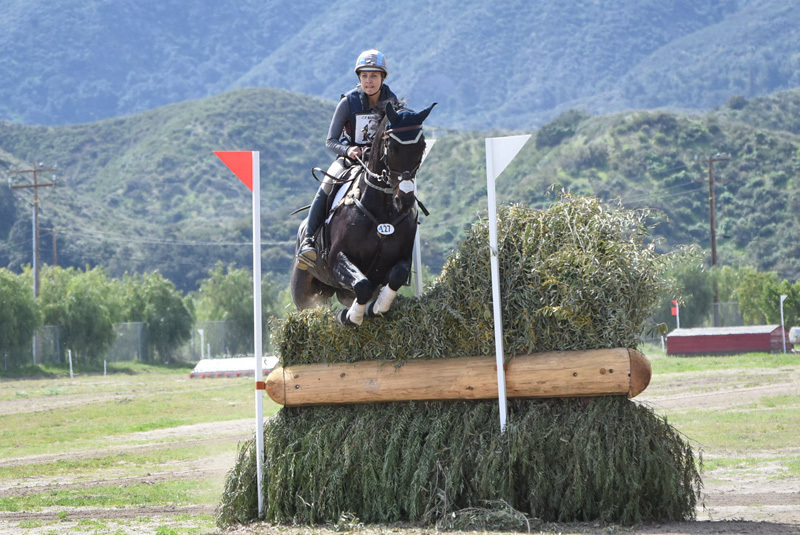 Baxter earned her second top finish this weekend aboard her own 6-year-old Holsteiner Enfinity in the one-star class, finishing on their dressage score of 35.1. Asia Vedder of Carpinteria, California, rounds out the top three aboard her own Gaelic Wealth. She and the 10-year-old Thoroughbred finish with 35.3 penalty points.